Today is apparently Pixel leak day. 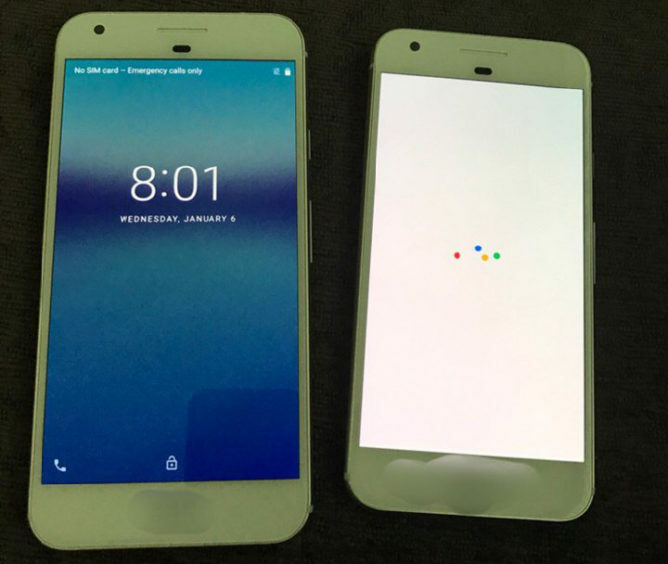 After getting some new details on pricing and spotting the phone in a Nest ad, some actual photos of the phones have emerged. The image above (and another below) show both phones side-by-side. This marks the first time we've actually seen the phones in the flesh—er, metal. Whatever. The images show both phones in the aluminum finish, which does look very light above. I think that's down to the harsh lighting. The top of the rear panel is clearly lighter and smoother (it's glass). The fingerprint sensor is up there as well. There are some IDs and markings obscured for obvious reasons. The front has that same sensor layout we've seen before, and the bezels are a little big. Feel free to complain about that in the comments. 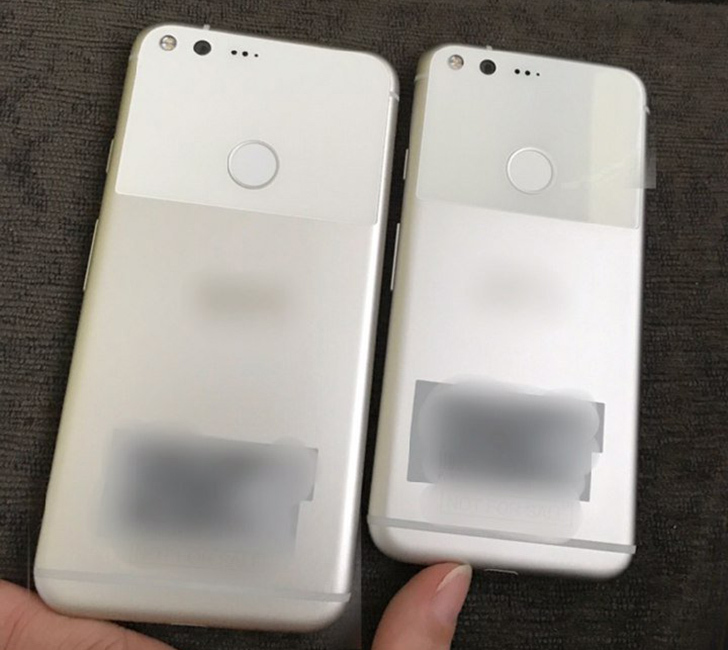 From what we understand, the Pixel XL will be 5.5-inches, and the Pixel will be 5-inches. The displays are on, but there's not much we can glean from them. The XL has a standard lock screen up, and the Pixel appears to be running the new boot animation. Another few weeks and we'll hopefully get a better look at these babies.